Who: Boys ages 12 to 14. Bring an ID/document that has both your picture and date of birth. Students playing on the first game should plan to go straight from school to this game. Who: Boys ages 14 to 18. 4:15pm to 6:00pm play game. 6:00pm go home or stay (optional) and watch the finals (EAB vs GG12). Come support the Eagles this Tuesday!!! 4:30pm to 6:00pm JH game. 6:00pm to 7:30pm HS game. Come cheer and support the Eagles!!! It should be an awesome game!!! Basketball Semi-finals on Tuesday the 24th. Come cheer for us!! Biggest game of the season. Come cheer for us!!! 11/24, Tuesday, Basketball game vs EAB at EAB (League Semi-finals for JH and HS). 12/03, Thursday, last Basketball game of the season for JH boys (Finals or Third Place game). 12/04, Friday, last Basketball game of the season for HS boys (Finals or Third Place game). Basketball Semi-finals. BIS vs EAB (two games). Who: Boys in Grades 6-12. We will have two separate games. 6:00pm to 7:30pm, Game #2 for boys age 14 to 18. Basketball Practice, Wed, 11/11/15. 3.30pm to 5pm. Wednesday November 11th at BIS. Basketball and Soccer in November. Thursday, November 5th at BIS. Who: Boys and Girls (ages 6 to 12). We will have two separate games. 5:00pm Game #2 (for students ages 10 to 12). Plan to stay after school for this game. This event will replace Soccer Club as we will be participating the soccer game. Thursday-- November 5th at BIS. 3:15pm to 4:00pm. Study Hall -- Computer Lab---Bring assignments to work on. 4:00pm to 4:30pm ---Warm up. 4:30pm to 5:40pm--- Scrimmage with French School for JH students. HS students regular practice. Plan to stay after the game for the "Third Half"
Friday and Saturday, November 6th and 7th at EDN. Who: Middle School boys and girls (ages 11 to 13). When: Friday and Saturday, November 6th and 7th. The exact times of the games will be posted once an official tournament schedule is sent from EDN to our coaching staff. Basketball this week at BIS. Basketball game. BIS vs GG12 (ages 14 and under). Thursday October 22nd at BIS. Who: Boys (ages 13 and 14). 4:30pm to 5:00pm---Warm up for the game. Plan to stay after school to this game. Bring Science Fair project to work on during study hall. BIS vs. GG12 (Ages 15 to 18). Friday October 23rd at BIS. Who: Boys (ages 15 to 18). Hang out at BIS after the game for pizza and games. Bring R$20 for the pizza. 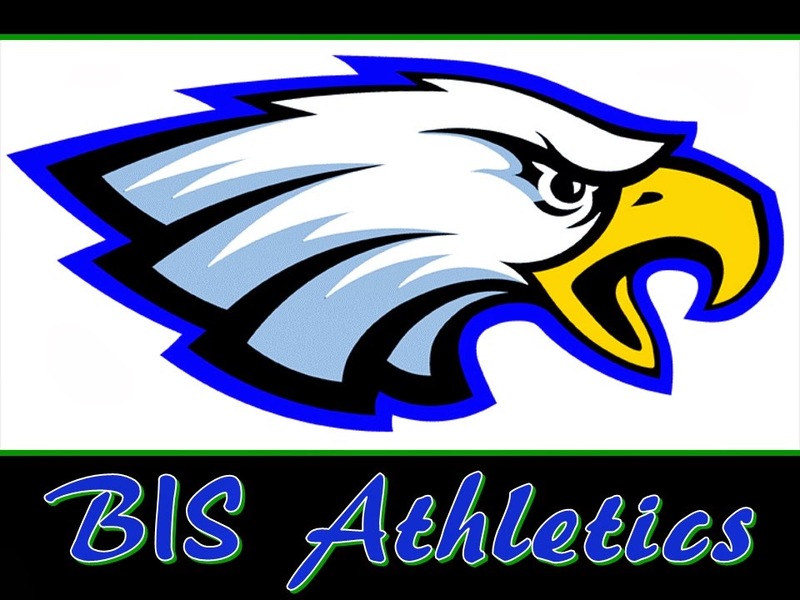 Basketball game BIS vs Nations on Thursday, Oct 15th. 10/15, Thursday 4:30pm, Basketball (league) game vs Nations at EDN (ages 12 to 14). 10/15, Thursday 6:00pm, Basketball (league) game vs Nations at EDN (ages 14 to 18). Thursday October 15th at EDN. Where: EDN, Lago Sul, Qi 21.